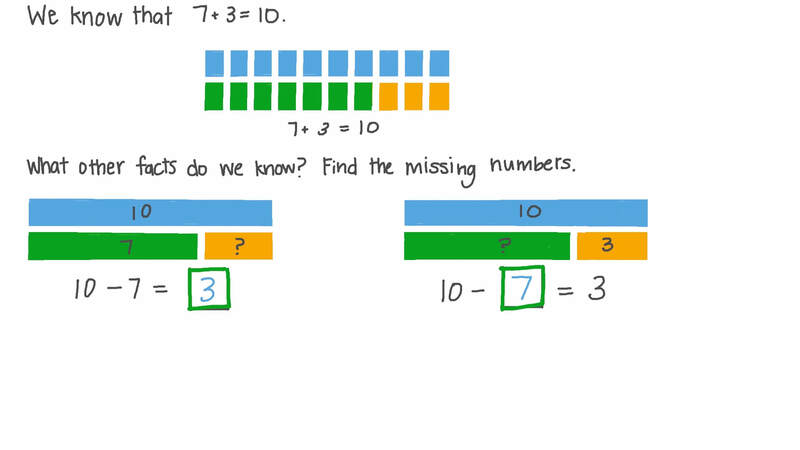 In this lesson, we will learn how to relate addition and subtraction and write families of addition and subtraction sentences linking the same numbers. We know that 8 plus 7 is 15. 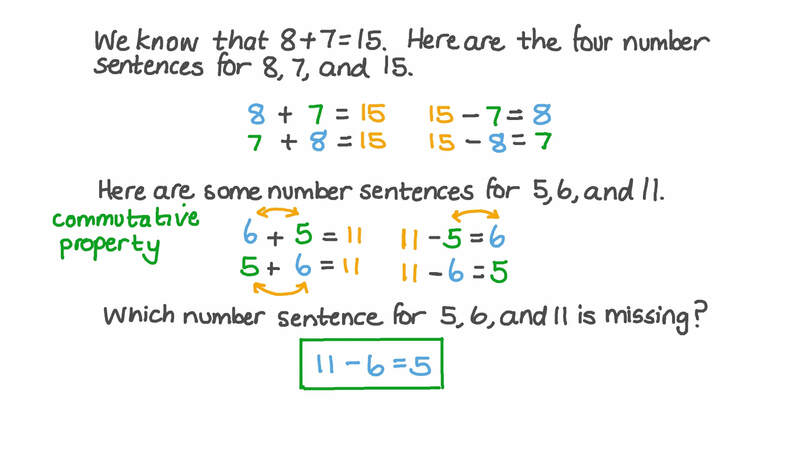 Here are the four number sentences for 8, 7, and 15. Here are some number sentences for 5, 6, and 11. Which number sentence for 5, 6, and 11, is missing? Which number sentence is wrong? Use 6 + 1 3 = 1 9 to fill in the blanks in these number sentences. We know that 7 + 3 = 1 0 . What other facts do we know? Find the missing numbers.